Water media painting using watercolor, acrylic and caran d’ache watercolor crayons. 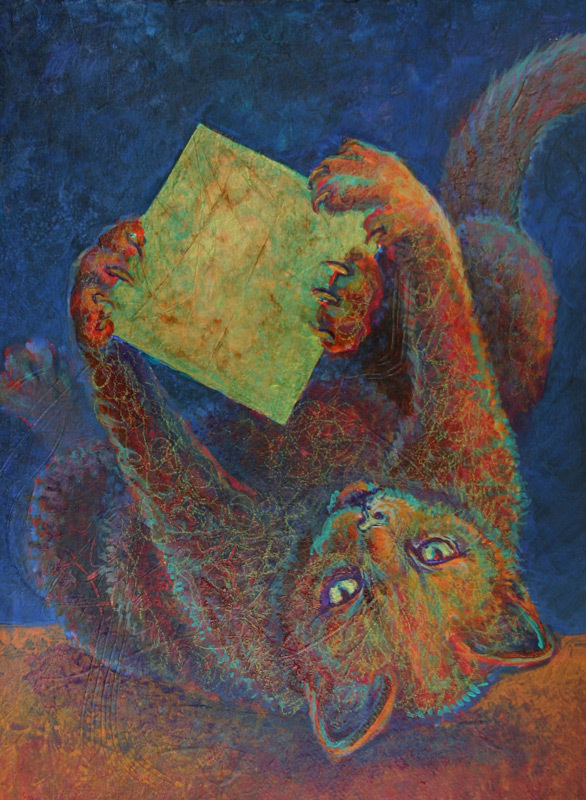 In the Catitudes series, the cats represent me and the boxes symbolize life and its circumstances. In this painting, I am in control at least for the moment!